When I’m in the midst of running a feltmaking workshop I am always amazed at the wide variety of colour schemes emerging on the table. I always have a full range of colours to choose from, as well as some beautiful silks and yarns for embellishment – it’s like an adventure playground of colour! I love it every time. 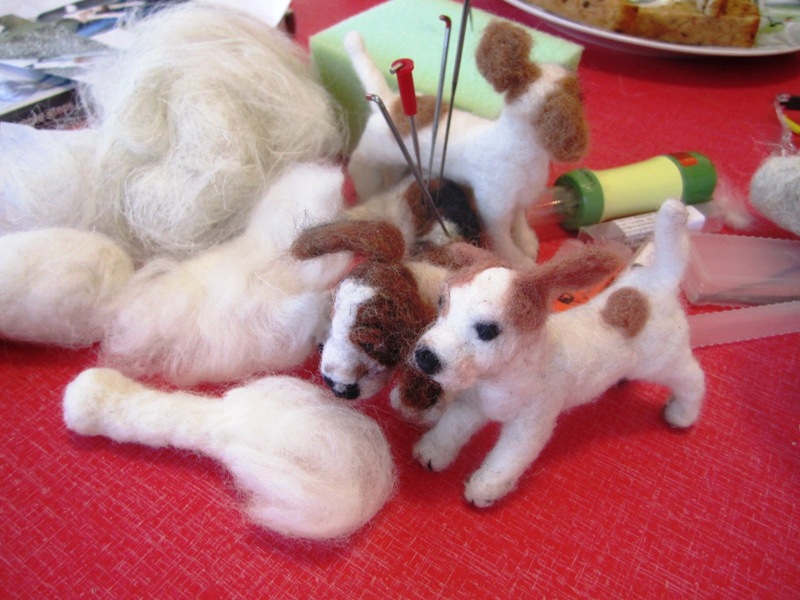 Feltmaking allows us to explore our creativity with freedom and does not require particular skills in the way that drawing or painting do. So, those familiar feelings of uncertainty, anxiety & lack of confidence are replaced by curiosity about the process, enjoyment of the colourful materials and a general feeling of wellbeing. 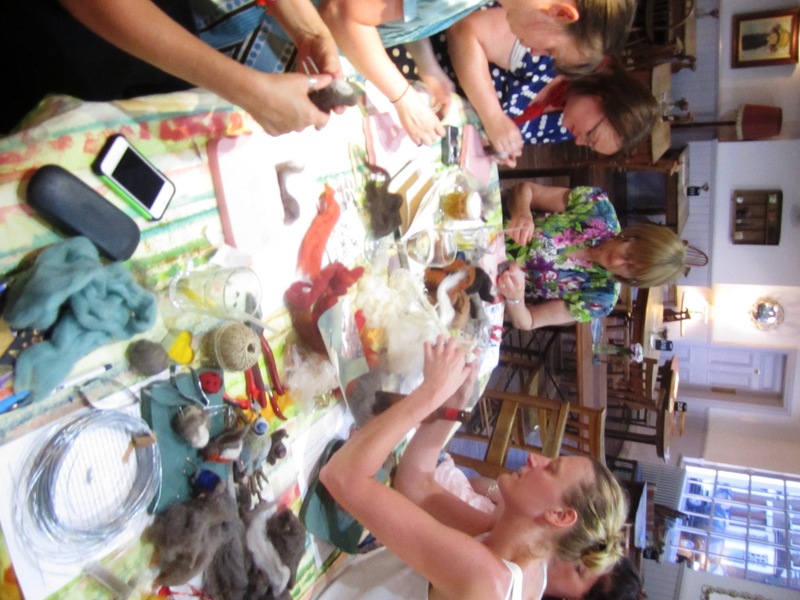 It’s fun and expressive – everybody goes home with one or two pieces of beautiful material, made with three simple ingredients – dyed sheeps fleece, olive oil soap and water – oh, and a bit of rubbing and rolling! 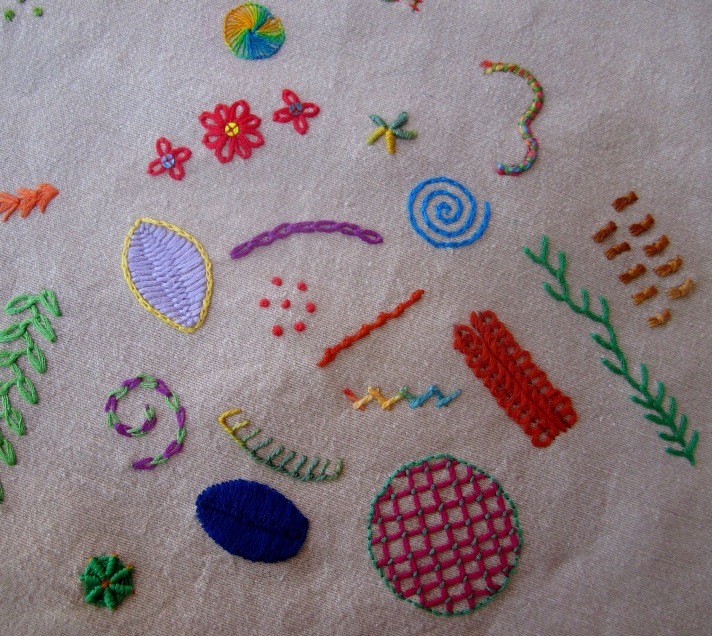 We start with flat pieces of felt, which make lovely table mats or even framed artworks. 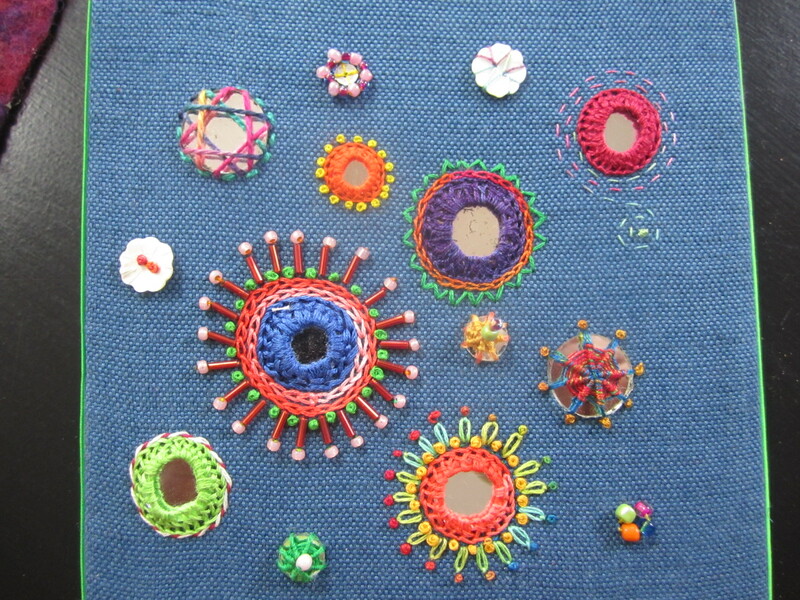 Then we move on to learn 3D feltmaking processes using resist templates. Start by making a decorative bowl, a beret, a hotwater bottle or tablet cover, a tea cosy. Whatever you fancy. 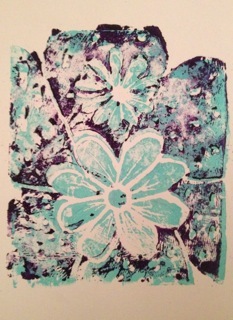 Again the fascination is in the process and the creativity in the choice of fibre/colour/shape & form. One of my most popular feltmaking workshops involves making a pair of slippers which hug your feet. This is achieved by putting the slippers on when they are almost finished, and rubbing them into the actual shape of your own feet. A workshop in the summer saw 8 pairs of slippers made in a day, and this picture is a good illustration of what I mean when I say I’m amazed at the range of colourschemes people choose! 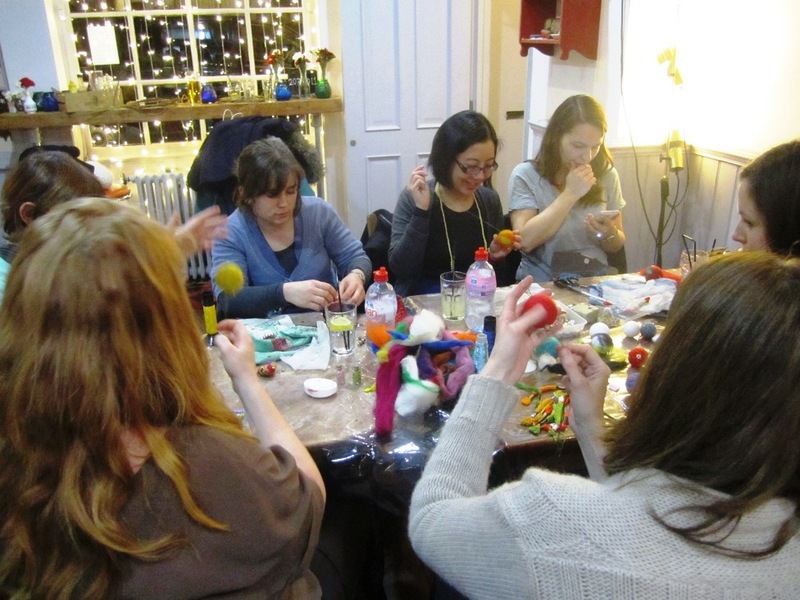 So, come on, unleash YOUR creativity in 2014 by learning feltmaking – a wonderfully expressive, tactile medium which is so versatile you can keep on learning new things forever! If you don’t see the workshop you want in my listings, do email or ring me and I’ll see if I can set a date either at a weekend or during the week. The year starts with a Wedding! An exciting start to 2014 in my household is eldest daughter’s wedding! Needless to say the planning and making involved in this has replaced quite a lot of my own textile making time over the Christmas hols, but for a good cause. We have all been busy making garlands and bunting with paper hearts cut out of old books, searching for fabrics for wedding outfit, going out suit shopping with the men, thinking about champagne. Great fun! It’s a winter wedding, so we’ll all have to wrap up warm in cosy cardis and gloves – champagne and canapes on a Routemaster bus picking us up from Brixton registry office – Virginia spent her teens coming home from nights out on the 159 night bus, which was a Routemaster at the time, so it’ll be very familiar. Over Christmas I did manage to make one needlefelted Woodpecker, who matches the colours in this picture. Maybe he should be attached to the bus in some way!! 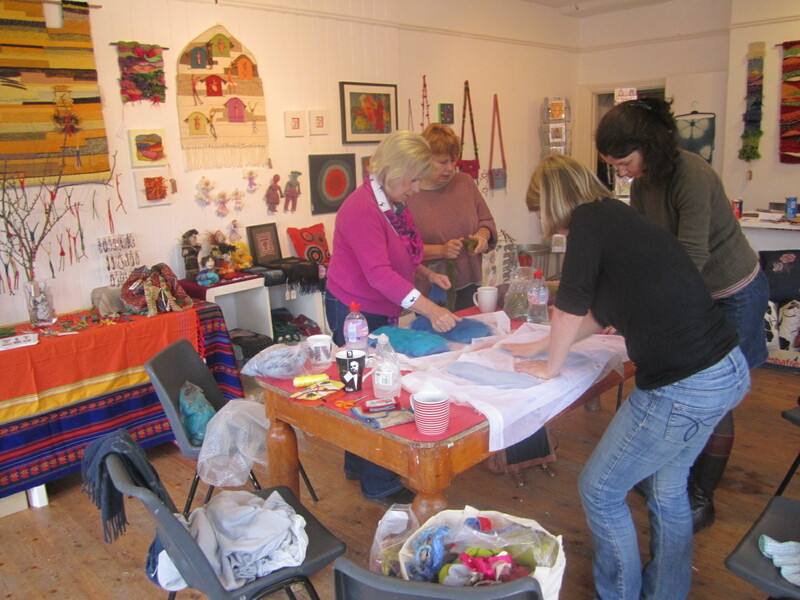 New workshop dates to be added very soon for Spring 2014. HAPPY NEW YEAR to all my loyal workshop participants, and welcome to new ones.